ICSI is an acronym for Intracytoplasmic sperm injection, which is an assisted reproductive technology (ART) used to treat male infertility problems. ICSI is the most successful form of treatment for male infertility issues and is used to enhance the fertilization phase of in vitro fertilization (IVF) by injecting a single sperm into a mature egg using micro-manipulators. This procedure is an extension of the IVF and not a substitute. The sperm count is very low. Motility of the sperm is poor or if there is a high percentage of abnormally shaped sperms (morphological issues). Previous failed or poor fertilisation during IVF. The sperm has been micro surgically recovered from the epididymis or testes. The male partner is affected with HIV, Hepatitis B or C.
Male partner has problems with getting erection and ejaculating. 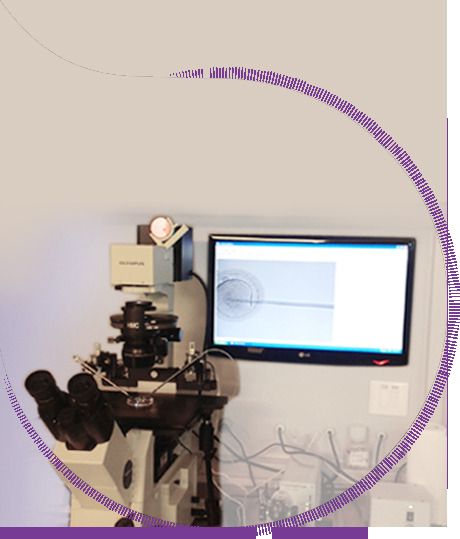 Following egg retrieval in the IVF cycle, each mature oocyte is inseminated with single sperm with micromanipulator unlike in IVF process where only the mixing of sperms and oocytes is done. The embryo transfer is done after 3-5 days. It is used to enhance the fertilization phase of in vitro fertilization (IVF) by injecting a single sperm into a mature egg using micro-manipulators. b- Previous failed or poor fertilisation during IVF. The sperm has been microsurgically recovered from the epididymis or testes. c- The male partner is affected with HIV, Hepatitis B or C.